The Crater Lake Century is a benefit ride for the Klamath-Lake Counties Food Bank, the Klamath County Museums, and the Klamath Trails Alliance. Since 2005 the Crater Lake Century has donated over $110,000 to these charities from the proceeds of the ride. 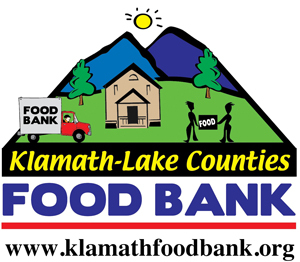 The Klamath-Lake Counties Food Bank has provided meal assistance for the last 28 years. In 2011-2012 they provided food for nearly 6,450 households and assisted in the preparation of 485,000 meals to feed children, seniors, the homeless, and disabled. The Food Bank distributes about 32,000-33,000 pounds of food WEEKLY. Who uses the Food Bank? Seniors, disabled, cancer treatment patients, hospice patients, unemployed or those with reduced hours, single parents, parents of special needs children, those suffering from an injury, Veterans, the homeless, and people who need a little help for a short period of time. 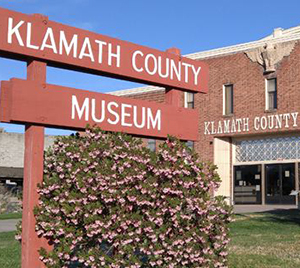 The Klamath County Museum has been with us since day one, as we use one of the museum locations, The Historic Fort Klamath Museum as the start/finish area of the ride. As a way of saying thank you to the museum we have provided a substantial donation to them each year of the ride. The Klamath County Museum operates three separate museum locations; The Main Museum in Downtown Klamath Falls, The Baldwin Hotel and the Fort Klamath Museum. 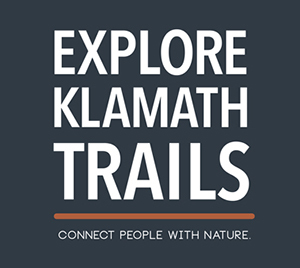 The Klamath Trails Alliance is a new beneficiary for the 2017 event year. The KTA works cooperatively with trail users, land owners, and others to promote, develop, and maintain a network of trails for non-motorized recreation in and around Klamath County, Oregon. People involved with this organization are extremely motivated and provide much of the volunteer support for the Crater Lake Century. Take the time to utilize the fruits of their labor by taking one of the many regional hikes or bike rides in the area. THANK YOU FOR SUPPORTING OUR CHARITIES. We raised over $14,000 for local charities in 2016. Thank you to all who participated, volunteered and sponsored our event. © 2017 Copyright. Crater Lake Century Ride. All Rights Reserved. Designed by Nestingwell.